LandLAB were commissioned by WCC to provide the urban and landscape architectural design services in 2016. LandLAB worked with BECA, TPC and E3BW to develop the design concepts and deliver the project through to completion. 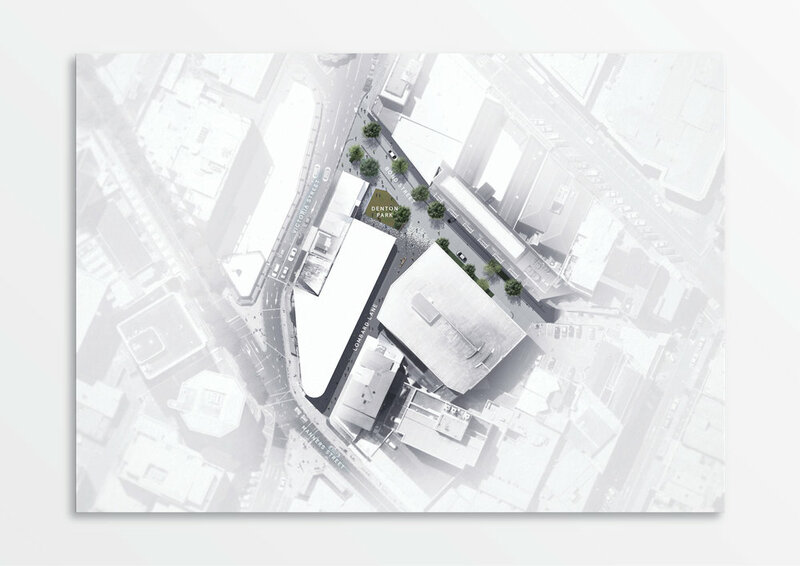 The project has required expertise in shared space, streetscape and public realm design as well as design collaboration, community engagement and place-making. This project re-invigorates and activates a previously run-down, vehicle dominated and unappealing precinct within the city centre of Wellington into a vibrant laneway, open space and food and beverage destination. In doing so it re-establishes connections to Wellingtons pre-settlement foreshore and establishes a template for a series of planned laneway upgrades that reinforce the fine grain DNA of the city centre and catalyse new laneway and cultural activities. The project represents a move away from the prevailing city centre aesthetic – of clay pavers and proprietary furniture – towards a more sophisticated and urban identity that resonates more strongly with the city’s walkability, urbanity and (in)famous character. Lombard Lane has been paved with high quality trafficable bluestone paving. A central dish channel defines the centre line of the laneway and establishes a low point to efficiently convey surface water whilst reinforcing an urban laneway aesthetic. Bespoke catenary lighting reinforces intimacy and provides a human scale to the lane. Significant design co-ordination was required with the adjacent new building to manage interfaces, thresholds and entries. Darker paving tones reinforce the laneway character and the overall project-wide paving strategy. Design principles around signage, street trading and moveable furniture elements were developed to inform existing and future architectural responses to the lane. Denton Park has been transformed into a raised lawn surface that enables informal occupation. This new green focus to the space also accommodates street tree and rain garden planting which supports sustainable stormwater treatment. Existing fencing and back-of-house areas of adjacent buildings fronting Victoria Street were rationalised alongside owners and existing brick and wall features were retained where possible to maintain the urban character of the precinct. This project – although relatively small in scale – has provided a significant activation and regeneration of a previously unappealing city centre precinct. It has successful leveraged and coordinated both public and private investment to optimise investment through the efficient upgrading of enabling infrastructure and coordinated delivery of new open spaces. It represents a new design direction for wellington that embraces. A more sophisticated and urban design language and a place-based, design-led approach to the regeneration of the city’s laneway network. It has opened recently to strong community and stakeholder support and quickly established itself as a favourite destination within the city centre.